We’ve shown you a couple sneak peeks at upcoming Riot Style projects, but this one is friggin huuuuuuuuge. We are very proud to announce Riot Style will be releasing a special 2xLP from Los Angeles, CA’s The Drips. The gatefold double album will be released this April, in conjunction with LA based label White Drugs. The Drips play straight ahead, balls out LA punk and sound kind of like a cross between The Germs, The Eagles and Suicidal Tendencies. The band features Matt C. and Joby J. Ford (guitar and vox) from The Bronx, Tony from The Distillers, David Hidalgo Jr. from Los Lobos, and Vincent Hidalgo. There are only a couple other labels (like Swami) that have been invited to party with White Drugs, so needless to say we are pretty stoked. 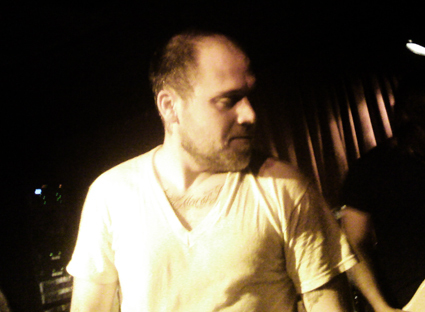 Here’s some photos of The Bronx from their recent show at Maxwell’s in NJ. In addition to The Bronx and their Mariachi band El Bronx, Matt and Joby moonlight in The Drips. Be on the lookout for a special collabo from Riot Style and The Drips in ’09. More photos after the jump.